When we are sick or in pain – we put our lives in the hands of physicians and nurses, hopeful that their years of medical training and experience will heal us. When they fail to diagnose a disease, misdiagnose a condition, make a mistake with medication or commit any other preventable medical error, the result can be disabling and painful, even deadly. If you or someone you love has been the victim of medical malpractice due to a doctor’s negligence, you deserve a successful and accomplished personal injury lawyer on your side. 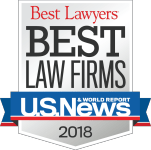 At The Law Offices of Andres & Berger, P.C., you can rely on our experienced and winning medical malpractice lawyers to fight tirelessly to hold the healthcare workers who wronged you responsible for their mistake. 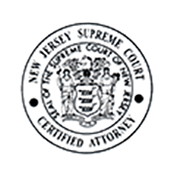 We’ll do everything possible to compile a winning case on your behalf, which we have done for countless other families in South Jersey, including Haddonfield, Cherry Hill, Medford, Mt. Laurel and Moorestown. Mistakes may occur but preventable medical errors made by physicians, nurses and other healthcare professionals in hospitals and other medical facilities have far reaching effects on patients – often forever. In the worst cases, medical malpractice can lead to wrongful death. 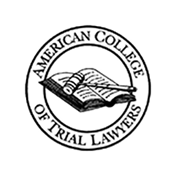 Medical malpractice is defined as negligence by act or omission by a health care provider in which the care deviates from accepted standards of practice in the medical community and causes injury or death to the patient. A physician has a duty to exercise the degree of skill and care expected of a reasonably prudent physician acting in the same or similar circumstances at the time of the care or treatment in question. The failure to do so is negligence. In other words, your doctor didn’t take the time to provide proper care, got distracted, didn’t take a complete medical history or didn’t order tests or interpret test results properly. When this happens, you have a right to be compensated for your losses. 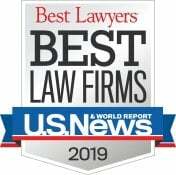 We invite you to call the successful, well-respected medical malpractice attorneys at The Law Offices of Andres & Berger, P.C.. We are located in Camden County in South Jersey, but we are known throughout the State of New Jersey for our commitment to providing the highest-quality legal representation to our clients. $9.25 million for anesthesia malpractice that caused brain damage and left the victim in a persistent vegetative state. $3.37 million for a misdiagnosis of lumbar hematoma that caused lumbar nerve damage paralysis. $1.6 million for a birth injury resulting in cerebral palsy. $2.4 million for a surgical error during hysteroscopy that caused wrongful death. 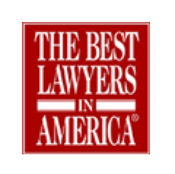 If you or a family member is the victim of doctor negligence, you can rely on the experienced lawyers at The Law Offices of Andres & Berger, P.C. to fight tirelessly for maximum compensation in your case. We work closely with the top, highly qualified medical experts, reviewing all aspects of your case from every perspective. We will seek to hold every person and entity responsible for your injuries – the doctors, nurses, hospital staff and even the facility itself, when appropriate. The Law Offices of Andres & Berger, P.C. are well known and respected throughout New Jersey, including Camden, Gloucester and Ocean counties, for our negotiation skills. 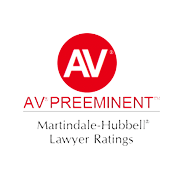 Insurance companies know we don’t back down from a fight; we are prepared, and will not hesitate, to take a medical malpractice or personal injury case to trial when a fair settlement cannot be reached. For this reason, insurance companies bring us reasonable offers; they don’t waste time with low-ball settlement figures. Be aware there is a statute of limitations on medical malpractice claims in New Jersey. You must file your case within two years of your injury or you risk losing the ability to hold the negligent parties responsible for their careless mistakes. Contact The Law Offices of Andres & Berger, P.C. right away for a free consultation about your medical malpractice case. 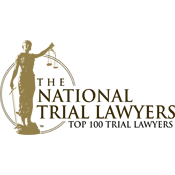 Doctor negligence is unacceptable and we will fight tirelessly to get you the compensation you deserve for your injuries. There are no upfront legal fees; we work on a contingency. That means when The Law Offices of Andres & Berger, P.C. take on your case, we cover all the costs. We don’t get paid until we collect compensation on your behalf either at settlement or in court.